I snapped a few pictures of some of what's new from Seven Islands and Kokka. 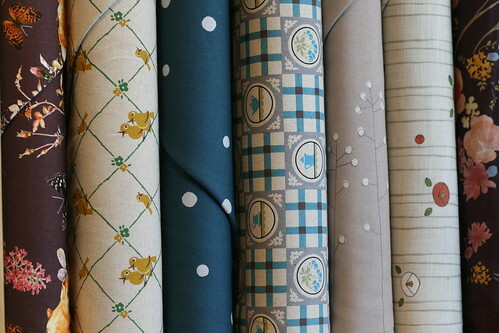 What you're seeing (from the top): Cotton Linen blends, prints from Melody Miller's Ruby Star Spring (62" wide and gorgeous! 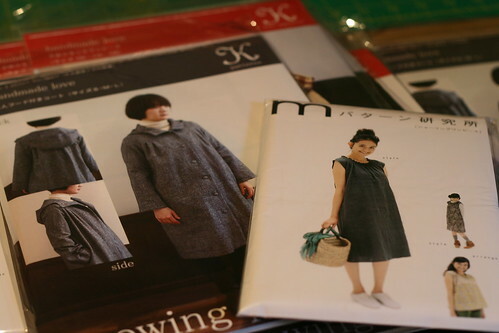 ), individual Japanese sewing patterns, and four new bolts of double gauze. There's more and it's MUCH prettier in person. Trust me. 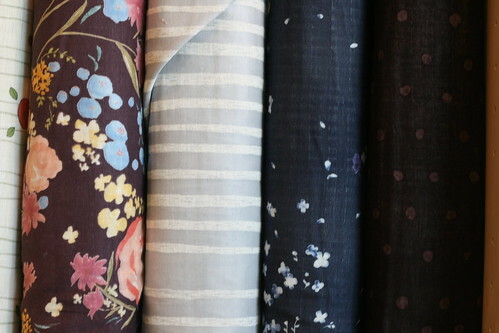 A note about sewing with Japanese Patterns-- there has been some hesitancy to carry patterns not written in english, even though lots of us having been sewing from Japanese Craft books for many years. If you have never sewn with them before, it's helpful to take a moment to familiarize yourself with the format and get a better look at the measurements. Often getting the pattern first and taking it home to look it over will save you some frustration at deciding on fabrics and yardage right away. Some helpful notes: everything is listed in centimeters and the sizing runs smaller than typical commercial patterns (considering these are being drafted for a smaller body type). The patterns usually do not contain seam allowances. Mari has written a helpful post on getting started over at the Purl Bee. It mostly applies to sewing from the Japanese Craft books and we carry some of those, too! Japan Couture is one of my favourite resources even though it's written in French, occasionally adding to my confusion. They have done an amazing job of putting together a list of PDF files that translate and explain terms and diagrams from Japanese to English under the heading AIDE TECHNIQUE. There are at least 8 different options, so click through and find the ones that might be most helpful to you. 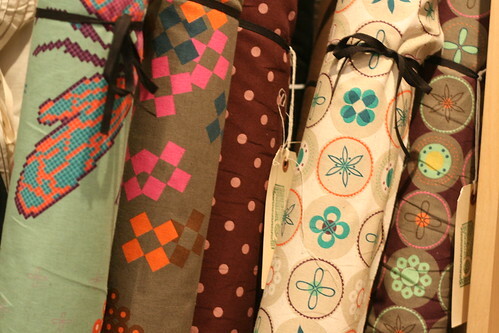 Of course, poking around the internet is always going to help-- sewists are helpful types! Be careful though, you're going to start liking these patterns as much as we do.